A cake commissioned from Zvezda cake shop in Celje, Slovenia is cut dermo optically. A cake commissioned from Zvezda, a cake shop in Celje, Slovenia is cut dermo optically. The video features a 'dermo optical' cake commissioned from Zvezda cake shop, Celje, Slovenia. 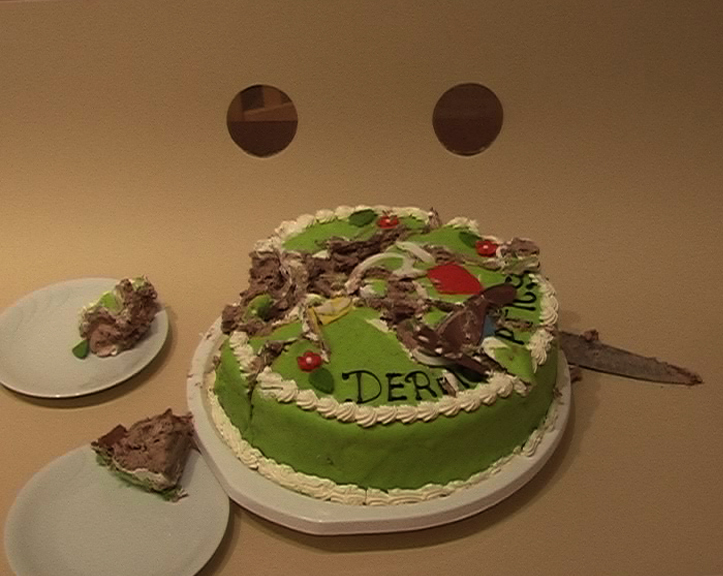 The cake became the subject of the video work. 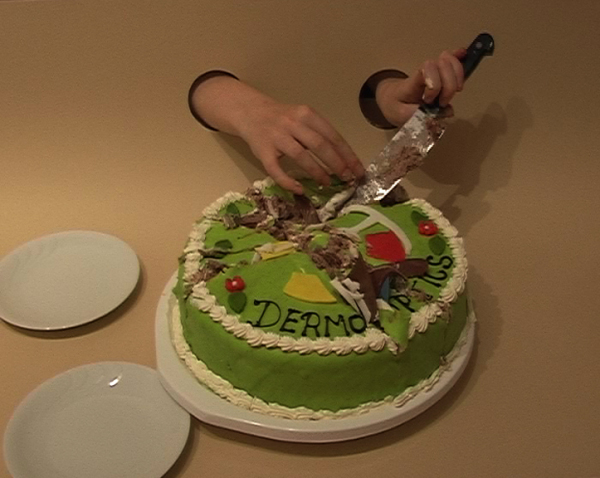 The remains of the cake were presented for the public's consumption at the opening of my solo show 'Dermo Optics' at Likovni Salon, June 2006.